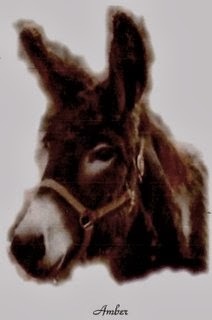 Once the wild burros leave our shores, the BLM certainly has no authority whatsoever to protect these very same animals they have been mandated to protect, not that we can feel anything but antipathy toward them for their complete disregard for these living, breathing creatures they are to protect. The wild burros and mustangs appear to be no more to the BLM officials than bicycles or washing machines. Question: Is the BLM looking into a wild burro-related partnership that would benefit small-scale farmers in Guatemala? Answer: Yes, the BLM, which is dealing with limits on its off-range holding capacity for wild horses and burros, is exploring the feasibility of a wild burro-related partnership with the Defense Services Cooperation Agency and Heifer International (http://www.heifer.org). Heifer International is a highly regarded, not-for-profit organization that provides education, tools, and livestock to poor communities and small-scale farmers. 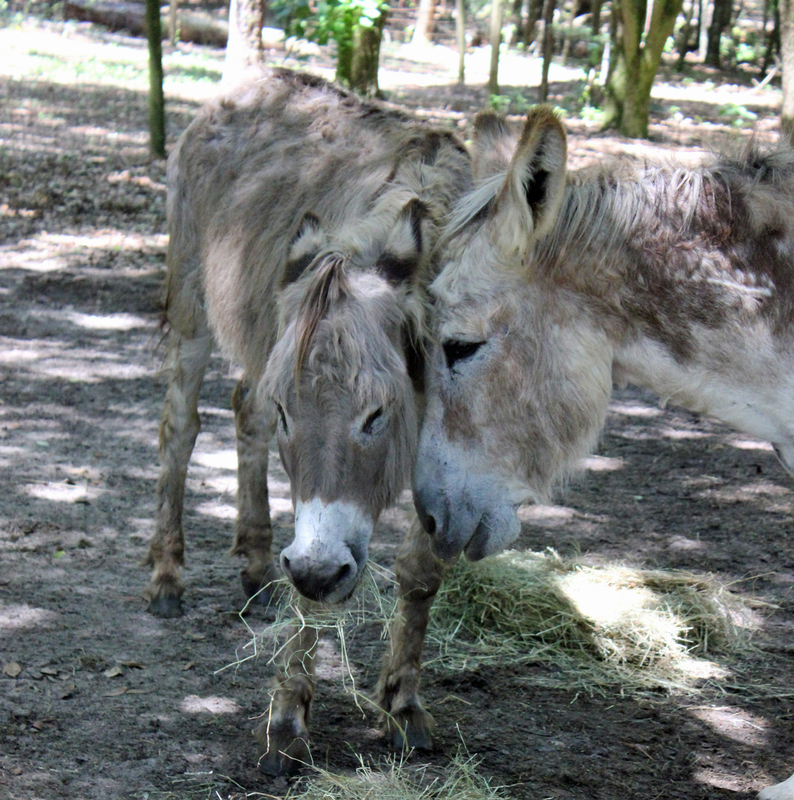 The prospective partnership would provide gentled, sale-eligible wild burros under BLM management to assist communities and farmers in Guatemala, where burros are prized working animals and expensive for families in poverty to buy. If the partnership were to move forward, the gentled burros would help carry water, crops, and other supplies. Heifer International would provide animal care training, regular animal welfare checks, and program evaluation to make sure the burros are kept safe and healthy. When determining where to place animals, Heifer makes an assessment to ensure that the recipients have adequate resources to care for the animal. The most recent information on the BLM website tells us that as of March 1, 2014, the estimated number of free-roaming horses and burros are 49,209: 40,815 horses, 8,394 burros. As a side note and I thought you might like to know, of the 8,394 wild burros now living freely on our public lands as the Act intended, their population, by state, is: Arizona, 4,411; California, 1,922; Nevada, 1,688; Oregon, 60; Utah, 313. Off the range, in either short-term corrals or long-term pastures, as of August 2014, there were 47,612 wild horses and burros. In the short-term corrals, there are 15,779 wild horses and 195 wild burros. On long-term pastures, there are 31,638 mustangs and no wild burros. “... with limits on its off-range holding capacity for wild horses and burros ... .” How laughable is that, with 47, 417 wild horses in their “holding system?” And, it would not be surprising to learn that they have rounded up additional wild burros to fulfill their partnership agreement, while the present 195 remain sequestered. Since enactment of the Wild, Free-Roaming Horses and Burros Act, under which the BLM and the U. S. Forest Service were charged with protecting these heritage animals, both agencies have failed to act in the best interests of the animals or “we the people.” They have operated in a manner that promotes mainly the interests of the livestock industry. From the beginning, the Wild Horse and Burro Program has been manipulated for political considerations rather than managed on sound ecological policy. In their inept managing style, the BLM’s constant and unmoving contention has been that the large numbers of wild horses and burros being rounded up and removed from our public lands is mandatory because of the destruction they do to the environment. (This is their story and they’re stickin’ to it.) This is their theory and certainly is not factual. The wild burros and mustangs serve as good scapegoats in the war with the livestock industry until, here again, you look at the figures. There are, by the BLM count (which many experts claim is extremely overestimated) 49,209 wild horses and burros on our public lands. By comparison, there are on any given day millions of privately owned livestock grazing our public lands. And not only are there no consequences for the damage done to the environment by the livestock, the ranchers are subsidized in their very profitable pursuits. Ranchers pay a grazing fee of $1.35 per animal unit month (AUM). One animal equals one cow and her calf, one horse, or five goats or sheep. Remember, this is public land that belongs to all of us. circumstances can be changed. The initial phase of the enactment of the Wild, Free-Roaming Horses and Burros Act came about because many, many school children wrote to their congressmen regarding the rampant killing of our wild horses and burros. Today, right now, please write, e-mail, fax, or call the director of the BLM, your U. S. senators and representative, and anyone else who could influence the decision-making process for the good of these animals whose fate lies in the hands of those of us who truly care about them. On the DOI BLM website, Wild Horse and Burro Program page, in the “From the Public” section, in answering the question regarding our wild burros being sent to Guatemala, it is stated that the feasibility of this action is being explored in partnership with the Defense Services Cooperation Agency and Heifer International. In searching on the internet for any information regarding the Defense Services Cooperation Agency (and using several different browsers), no information can be found on this agency. Instead, information on the Defense Security Cooperation Agency is shown, through which I can find no information regarding the wild burro proposal. I would like to ask you to give me the correct information regarding this partnership or an explanation of why I cannot locate this Defense Services Cooperation Agency, which I assume is a government agency. I would also ask you to give me an update and more information on this proposal, such as how many burros (I have read that it was 100. ); when they would be sent to Guatemala; and, particularly, how this undertaking could be viewed as legal under the provisions of the Wild, Free-Roaming Horses and Burros Act. I am preparing a newsletter regarding this BLM proposal and would like to be certain the information I include is accurate and up to date. Thank you for your help in this matter. Could I ask for a timely reply?